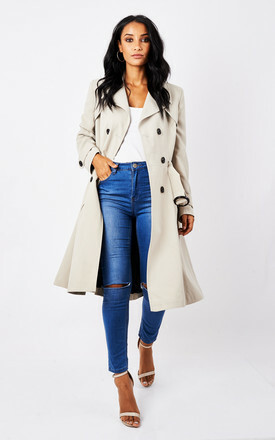 Carefully crafted in England, a classic double breasted trench coat. Military-inspired this piece features storm flaps , working pockets , self belt and buckle detail for a feminine fit. Fully lined using acetate lining .